Glandular fever is a viral infection that normall affects young. According to the NHS and health organisation, it isn't usually a threat to the patient's health but can cause several weeks of discomfort. If the patient has another illnesses, glandular fever could cause complications in some instances and should seek guidance from a medical professional. Your GP will normally ask you about symptoms before performing a physical examination; the physical examination will look for typical signs of glandular fever and may recommend a blood test. Pregnant patients may also be tested for rubella or toxoplasmosis to rule out any potential risks to the unborn child. What are the causes of glandular fever? Glandular fever is caused by the EBV virus, a common virus affecting humans. You'll probably contract EBV as a child and notice some mild symptoms, but for those who develop an infection as a young adult they'll begin to display symptoms of glandular fever. Glandular fever and the EBV virus is spread through saliva and can be contracted through kissing, exposure to sneezes and coughs or sharing drinks and utensils. 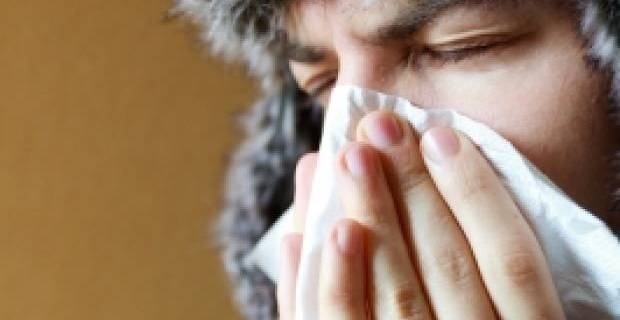 Someone who has contracted glandular fever can be contagious for up to two months after the initial diagnosis and the virus can be present in saliva for up to 8 months after originally contracting EBV. Once you've contracted glandular fever, it's unlikely you'll have the disease again as the body develops a life long immunity. There is currently no cure for glandular fever. However, symptoms can be relieved by using painkillers, such as ibuprofen to reduce swelling, and seeking additional advice from medical professionals. Symptoms should reduce after 2 weeks, but fatigue and tiredness can remain after the infection has subdued. You shouldn't need intensive treatment for glandular fever, but if you suspect any complications contact your doctor immediately.